Its been a while since my last post. As far as the Not My Tempo Band is concerned we are back to practicing and auditioning members. We have been fortunate enough to find a drummer and are now just looking for a lead vocalist. I think I will probably get it set-up as I suspect the action could be lowered even further. The only thing that could make this bass better is a 32” scale instead of the 34”, but it is such a fast neck that it really isn’t a problem. 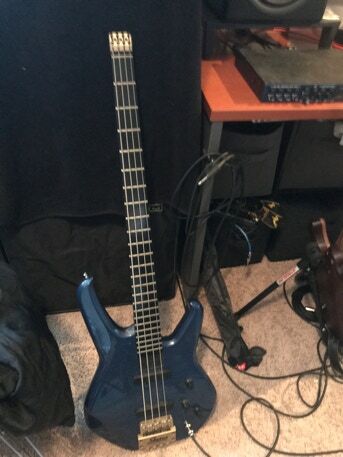 In fact I’ve been so impressed with the bass I’ve been wondering if Status would make me another one, but truthfully I will probably end up at some point with either one of their new basses in a 32” scale or another s4000 or S3000 if cone comes along.